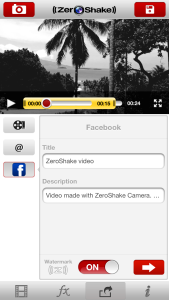 ZeroShake turns your iPhone or iPad into a professional video camera with Digital Image Stabilization directed by you. It removes the unwanted shake and sway and compensates for the rolling shutter effect. 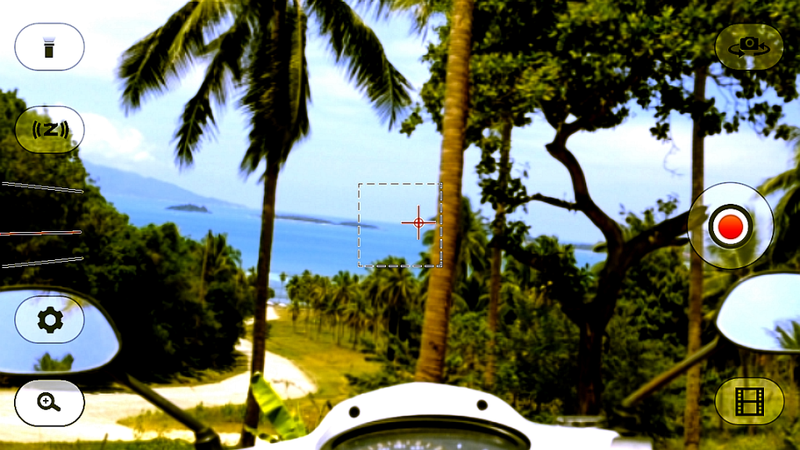 ZeroShake offers 6x digital zoom, which is where the power of the stabilization truly becomes apparent. It has a Smooth-Zoom function so you can gradually zoom in or out to a required level. All recordings are saved in the ZeroShake gallery. 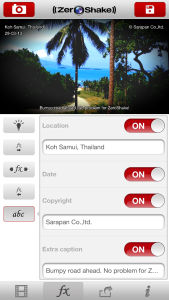 The versions with effects and filters applied are saved next to the originals, and you can edit them at any time. 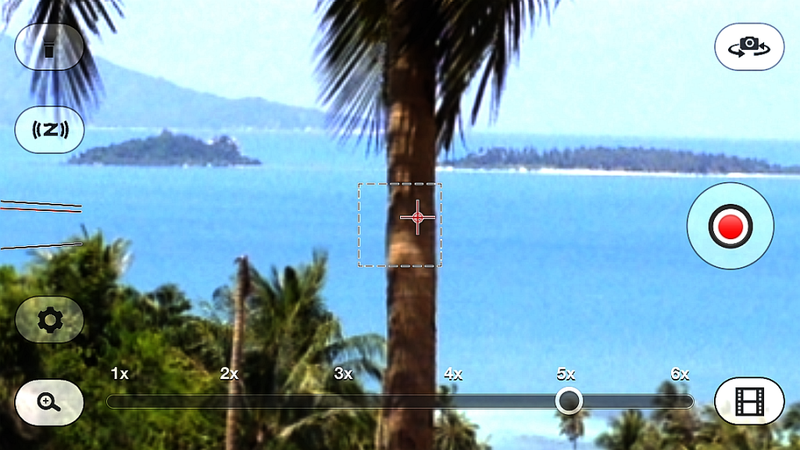 Recorded or imported footage can be opened in the FX editor to change parameters such as exposure, brightness, hue, contrast and others. 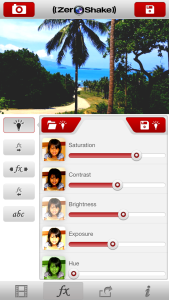 You can even create and save your preferred lighting profiles, to use on other videos. Creative filters such as sepia, sketch, cartoon and many more new filters can be applied to make your movies even more fun. Choose your favorite effects like swirl, blur and many others on how to start and end your video. When and where did you shoot a video? Would you like to add copyright information, or add some extra text? 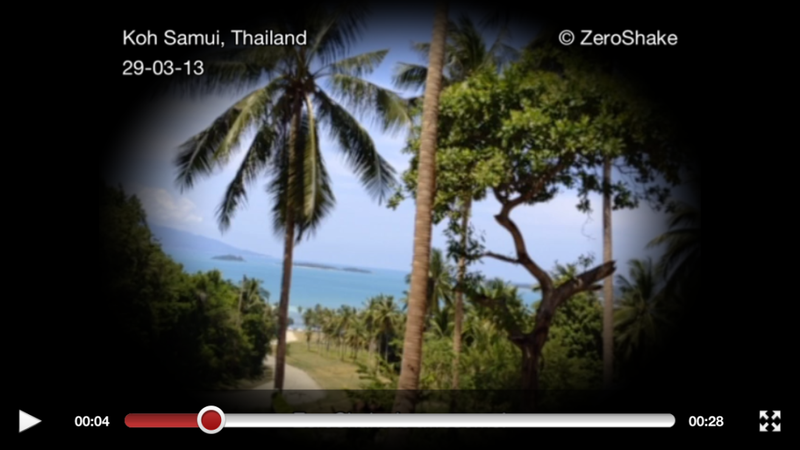 Now you can display the date, location, copyright and personalized text very quickly and easily inside your videos. You can apply filters and effects, and see the result instantly. 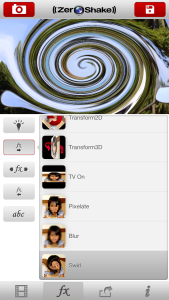 No need to wait for processing to preview your creation in the app. Cut your footage to the desired length. The applied effects will adjust automatically. Then send your ZeroShake video to the Camera Roll, or share a movie via email or Facebook with your friends, family or the entire world.